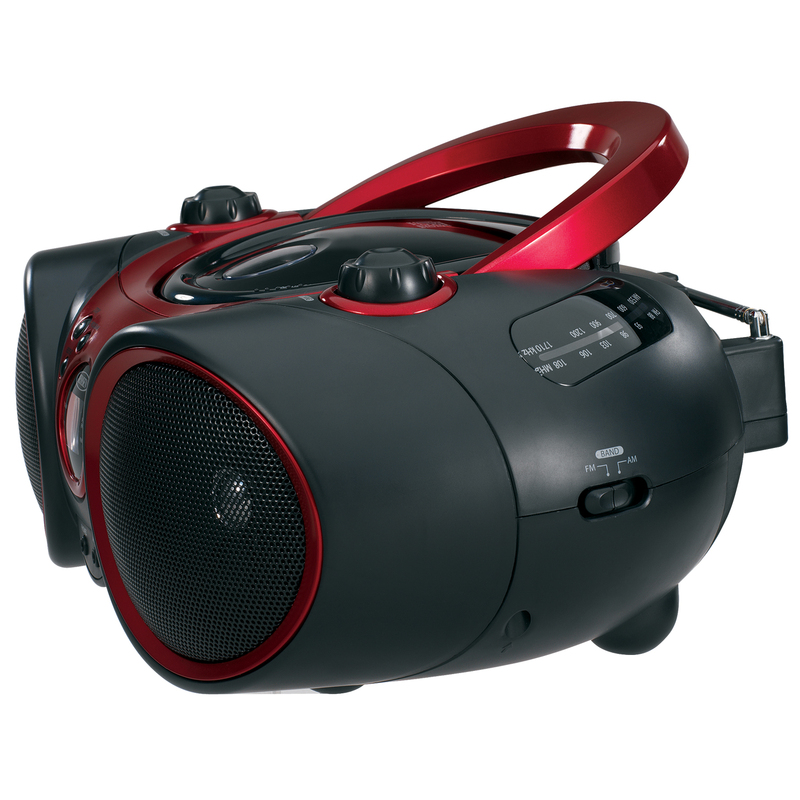 The JENSEN® CD-490 is a stylish, compact, and portable CD player with AM/FM stereo radio. 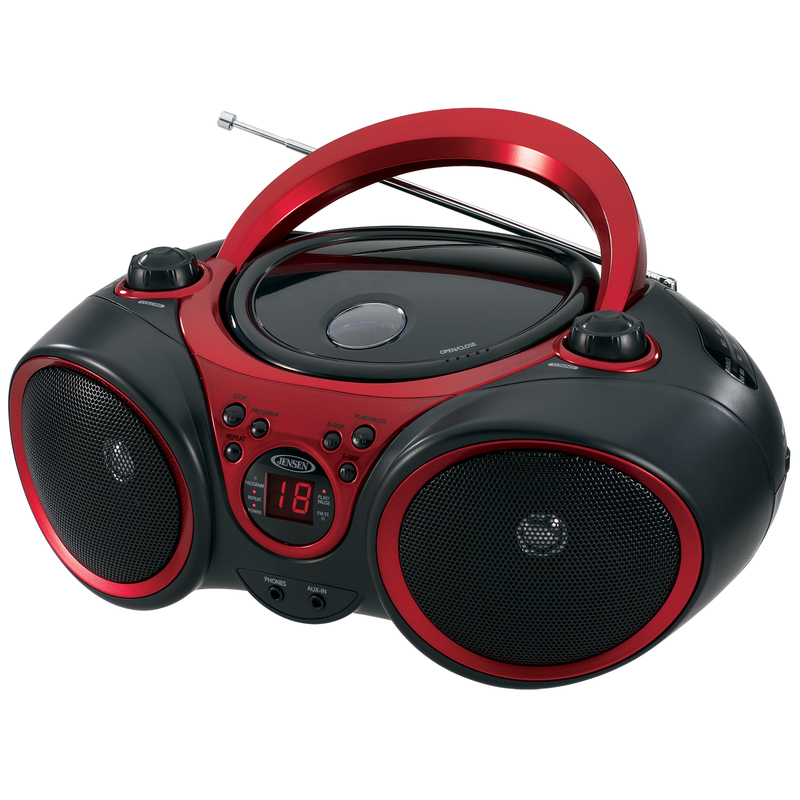 The unit features a top loading CD player which is CD-R/RW compatible, has programmable memory, and a bright red LED display with function indicators. 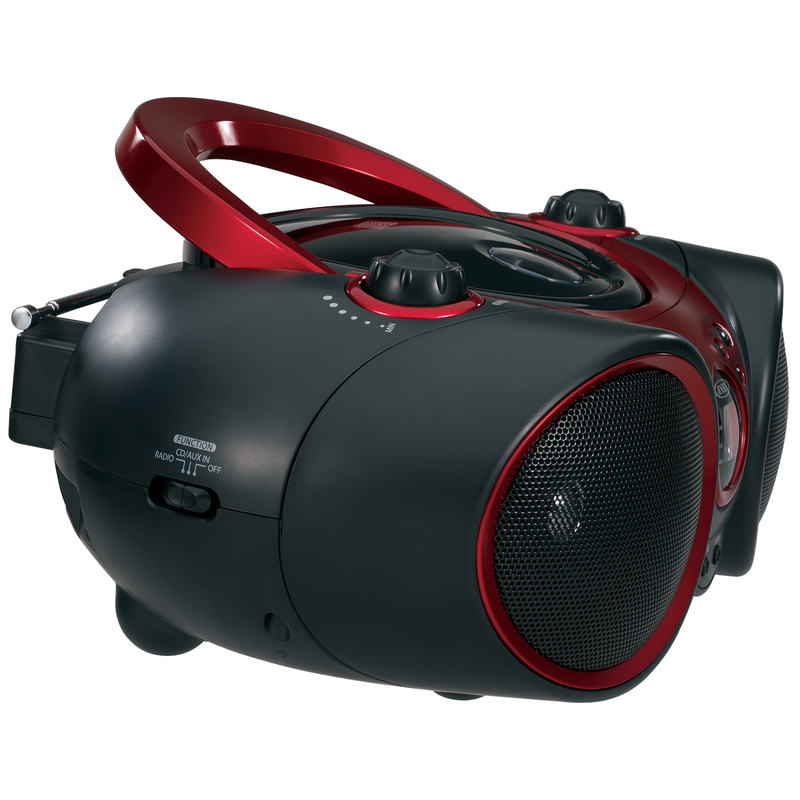 This music system also offers both headphones and auxiliary input jacks for playing your favorite music from your iPod®, MP3, and other digital media players. The carrying handle lets you take the CD-490 anywhere. 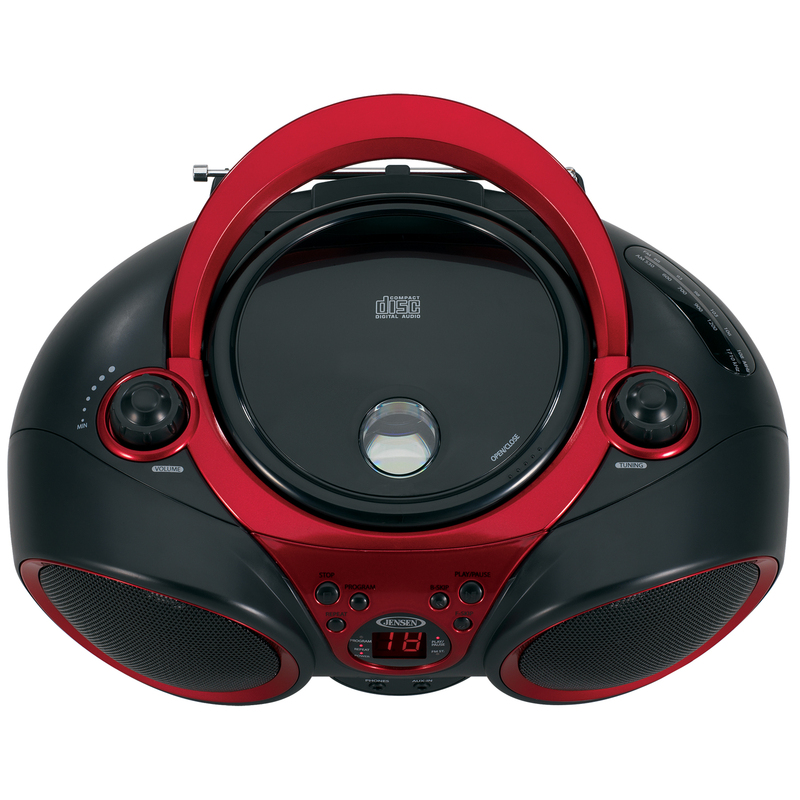 It operates on 120V AC power or eight (8) C-cell batteries (not included).